I’ve taught art at my school for almost 12 full years. This means that a child who entered kindergarten in 2001 (my first year of teaching) will be graduating in 2013. It’s a strange feeling to realize I’ve been a mentor and faculty member through the complete cycle of a child’s pre-college, educational life. I’ve been at my school long enough that I’ve taught all the siblings of many families. For the most part, my seventh graders are the youngest members of their families. I’ve taught, watched and nurtured their brothers and sisters in previous years. Typically, my youngest students, who are in fifth and sixth grade, have younger siblings, not older. Over these twelve years, the concept of play has really changed. I can remember not owning a cell phone when I first started teaching twelve years ago. Now most sixth graders have iPhones of their own. Often “to play” is something kids do with their iPads in the back seat of the SUV their parents use to drive them back and forth from one after-school activity to another. Sure there’s still sports, but it’s about competition and looking good and getting scholarships. Although I haven’t witnessed this first hand, our lower school art teacher told me that when she was giving a demonstration about rolling out clay and cutting out shapes, she asked her students if this reminded them of making Christmas cookies at home during the holidays. When she got blank stares and no response, she asked if they ever made Christmas cookies with their families and they eagerly said “Yes!” but their cookies came pre-decorated in a refrigerated log shape and you just sliced them with a knife. This week, while “playing” on the internet, I came across a heartwarming story about a little boy named Caine. This young, 9-year old boy went with his father each day to the family owned auto parts supply store in east Los Angeles. It was boring; really dull for this little boy. So, he started building an arcade out of cardboard boxes that he found around his dad’s shop. His arcade grew in size, as did his imagination. When the arcade was built, no one would stop and play. Everyone was too busy; no one could spend the time to play at his elaborate arcade. And then one day he had a customer, and his whole life changed. Please give yourself a gift by watching this short film. Grab a child and watch this story, and then let me tell you what happened in my art room. After watching this, my heart melted. I knew I wanted to share it with my students. I then watched a second short film about what has happened since the film debuted on the internet last year. In short, the Imagination Foundation was established and money is being raised to “find, foster and fund creativity and entrepreneurship in kids.” On October 6, 2012, the Global Cardboard Challenge will premier around the world! To take part, simply make something out of cardboard and invite the world to play. This week I showed my sixth graders these two films. They were spellbound; quiet as mice while watching Caine’s story. Afterward, I told them that I wanted our class to accept the Global Cardboard Challenge, and, in tribute to the State Fair of Texas, which opens on September 28, I wanted my students to pair up and design carnival rides! The excitement in class was frenzied as students grabbed for paper and pencil to start designing their ride. The following day, two children met me before school, with bags of supplies to donate to the project. Two girls told me they talked on the phone the previous evening for a couple of hours planning out their ride! Children arrived eager to design and build the following day and our cardboard carnival is currently being constructed with rudimentary objects such as paper towel rolls, cardboard, popsicle sticks, string, paper plates, toothpicks and rubberbands. Now this, my friends, is PLAY! Will you accept the challenge to build and play in the Global Cardboard Challenge? Oh, my goodness – I have tear in my eyes! What a gift, imagination is! Thanks for sharing an encouraging story and helping people see that very ordinary objects can produce hours of fun while at the same time build relationships! Anita, you have a special gift! I can not wait to see what rides your students will create! Sweet, Susan! Amazing story isn’t it? Thank you for enjoying and sharing. God creates and we create! It’s part of how we humans are wired! Cain’s story is one of the most heart-warming stories I’ve heard. I’ll join the cardboard challenge! Jimmie! Thanks for being my team member!!! I can’t wait to see what our kids create this week! Should we build a giant cotton candy or popcorn stand? You would love to come spend the day with me. You certainly can if it can be arranged! Yes, I think I got lots of my imagination from you as we cut and pasted newspaper and cardboard together to make treasures! Thanks, Mom! Thanks, Anita! Love the post. I am reminded of “box city”, a giant cardboard city that my third grade class created way back in 1990 at Shelton. It took over almost the entire classroom, and we did map skills and other lessons after creating ii together. Cardboard is a great material for creativity! 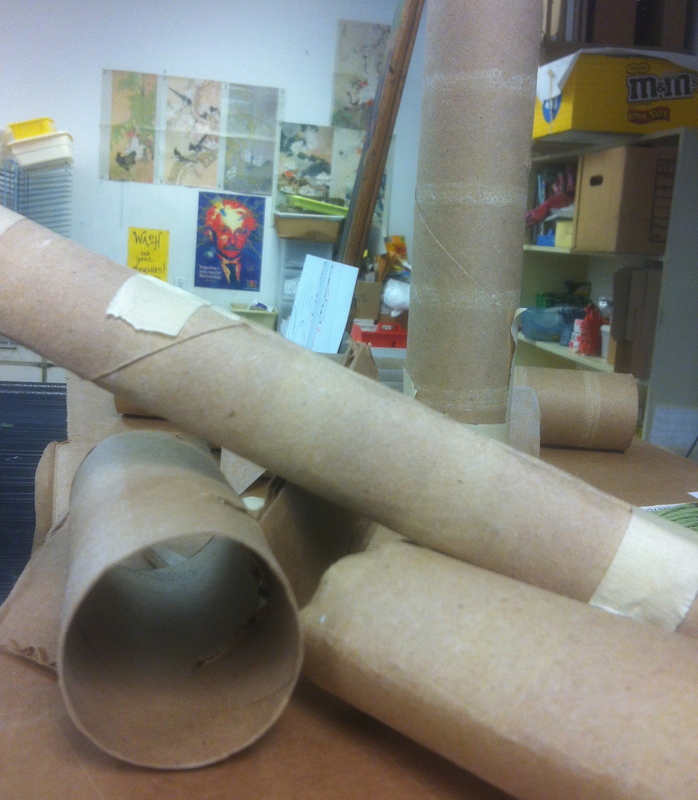 Thanks Anita for passing on information about Caine and the Global Cardboard Challenge….very inspiring. I hope to pull something together here in Taiwan. I’ll send you pictures!